The king of wedding planners, KYC : who are currently the fastest growing company have just achieved another great milestone today by launching their new headquarters in Andheri East, Mumbai. The company which was founded by Mr. Anil Kumar takes up the duty of planning, designing and managing exceptional celebrations from small intimate gatherings to large and lavish affairs, has added a glitz of glamour to it, as their new office gets inaugurated by the gorgeous diva Shilpa Shetty. Living up to the promise of making every occasion a unique and memorable affair, the mega inauguration was also a reflection of the company’s ideology. 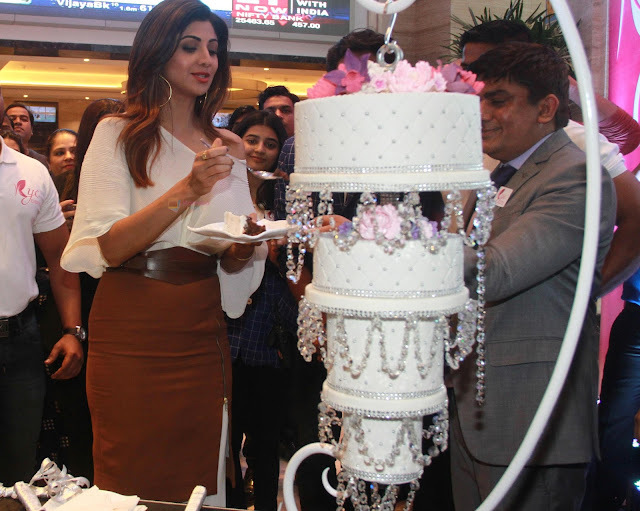 The extravagant affair was commenced by the launch of the new office by the Chief Guest Shilpa Shetty along with the MD of the Company Mr. Anil Kumar. The celebrations were then taken ahead by a brief interaction with the media which soon was converted in to a fun interaction thereby notching up its entertainment quotient. The event concluded on a sweet note as the stunning chief guest Shilpa Shetty clicked some adorable selfies with the employees of KYC who were overwhelmed with her presence. Talking about adding another feather of achievement to his cap, Mr. Anil Kumar said “The company aims at building the dreams of our clients, along with building everlasting relationships with them because they trust us with their big day and we immensely value the same. We make sure that the weddings and parties are memorable and filled with magical experiences, perfectly planned and beautifully executed. Mr. Anil Kumar, a man of his word having ten years of experience as a wedding planner. He started out in 2009 and has worked with many renowned Companies. Over the years he got inclined towards wedding planning and hence, established his own company, KYC Events.! KYC Events promises to make your wedding a unique and an elegant affair, so the wedding remains etched in your memory forever.